SORI Holiday Auction - Donate or Purchase a Gift Today! Holiday Shopping from the comfort of your home. 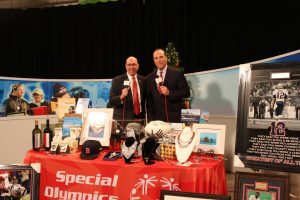 To donate an item or certificate for the 2019 Holiday Auction, please contact Gerri Walter at (401) 349-4900, ext. 316 or email via the button below. Example of donations are: restaurant gift certificates, overnight stays at hotels or vacation homes, foursomes at golf courses, tickets to sporting events, sports memorabilia, gift baskets, etc.